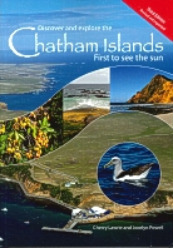 If you are looking for a completely different travel experience then the Chatham Islands is the place to go. Located 800 km east of the South Island of New Zealand, the islands offer spectacular scenery in a remote and unspoilt setting, a rich cultural and historical heritage, a ... read full description below. If you are looking for a completely different travel experience then the Chatham Islands is the place to go. Located 800 km east of the South Island of New Zealand, the islands offer spectacular scenery in a remote and unspoilt setting, a rich cultural and historical heritage, a friendly and easy-going local community, unique plants and animals, wonderful seafood, and a variety of outdoor activities such as bushwalking, birdwatching, fishing and diving.